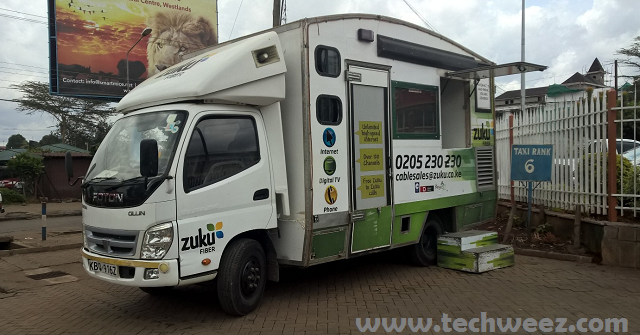 Zuku, a product of Wananchi group is one of the pioneers in Kenya for the triple play service that ventured into providing three services; internet, TV and telephone via a single fiber connection. The product came right after Zuku had first trialed WIMAX in Nairobi, then upgraded to Fiber based service. The product hit the road and has been quite in demand especially in residential areas. What they should have done is introduce a higher bundle not force all of us to a more expensive package. I was ok with my R10! I think Zuku has done lots CAPEX with its Fiber offering but was not getting enough money from it, hence the raising of prices. In addition, stating that subscribers increased hence the need to add prices, is different. Anyways, its just an extra 400 bob for faster speeds. why not? I too was happy with my R10 but an increase of Ksh 500 per month for an extra 5Mbps and no additional channels doesn’t translate into any added value for someone who lives alone and therefore doesn’t require the increased speed. By effectively making the decision and leaving us with no alternative, I am rather incensed that this is the second time Zuku has ‘forced’ their existing clients to pay more without their consent. I used to pay 2,999 for the 4Mbps subscription and I’ve been informed it now costs 3,499. So does that mean I get 6Mbps for the extra cost? but their customer service is very bogus. upgrade their brains as you upgrade the price.